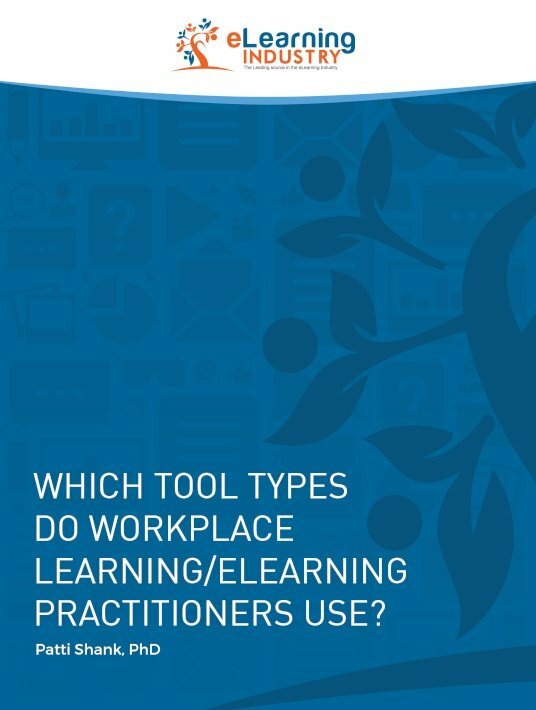 Free eBooks / Which Tool Types Do Workplace Learning/eLearning Practitioners Use? Download this eBook to discover which tools and technologies do workplace learning practitioners actually use, their most essential tool types, and the tool types they are considering for use in the near future! We received responses from 990 people from 85 countries. Of these, 172 were eliminated due to not working primarily in the workplace learning/eLearning field. The final number of respondents was 818. Which tools and technologies do workplace learning practitioners actually use? What has changed the last 5 years? eLearning Industry solicited responses to an eight-question online survey from 9/7/2018 to 9/17/2018. The respondents self-selected whether to respond to the survey, so the results are indicative of the usage of those respondents. Which tools and technologies do workplace learning practitioners actually use? The data from a previous survey that was carried out by eLearning practitioners in 2013 showed that the top two tool types used by respondents were instructional authoring tools and presentation tools. Has this changed in the five years between then and now? That’s what we wanted to find out. If you could find out what the preferences in your area of activity are, which tools mesh well with your target audiences, or which choices are topping among companies that have similar goals with yours, wouldn’t this spark your enthusiasm? Well this is exactly what this free survey report delivers. Picking up from where a previous survey has left off, Patti Shank approaches the subject of the most preferred tool types for workplace learning – if you’re an active eLearning professional, this survey report was written for you.